^ Tremlett, Giles. "Online gallery zooms in on Prado's masterpieces". Guardian, January 14, 2009. Retrieved June 19, 2010. Bosing [=Gibson], Walter. 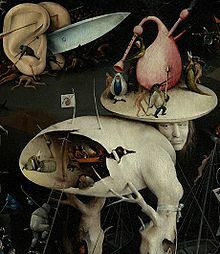 Hieronymus Bosch, C. 1450-1516: Between Heaven and Hell. Berlin: Taschen, September 29, 2000. ISBN 3-8228-5856-0. 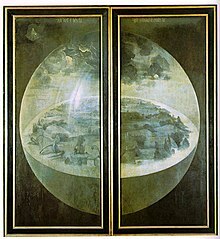 Vermet, Bernard M. "Baldass was right" in Jheronimus Bosch. His Sources. 2nd International Jheronimus Bosch Conference May 22-25, 2007 Jheronimus Bosch Art Center. 's-Hertogenbosch 2010. ISBN 978-90-816227-4-5 "Online". 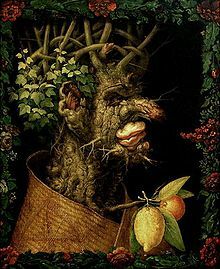 "Hieronymus Bosch, Tempter and Moralist" Analysis by Larry Silver.